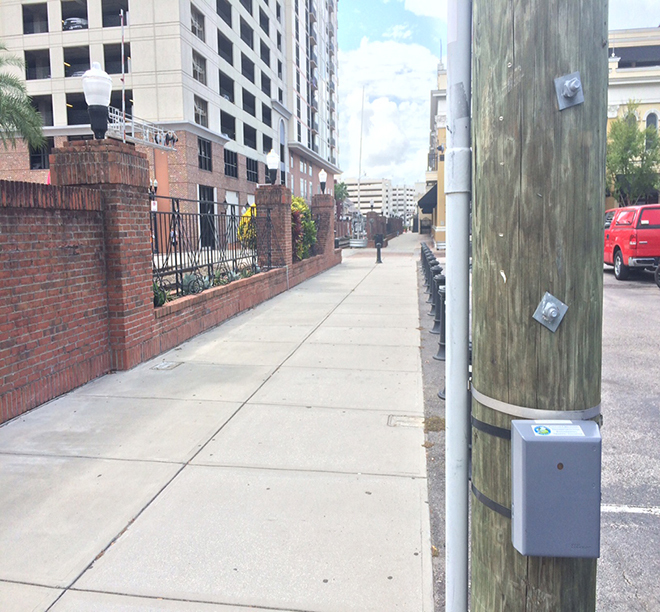 It may just be a small gray box, but it gives the City of Orlando a whole ‘lot of data. The city’s bicycle and pedestrian count program kicked off in June 2015 with the little gray box recording how many people are biking and walking in locations such as Lake Eola, Downtown Orlando, and the Orlando Trail Network. Check out the results for 2015 here. So why’s this so important?It sets a baseline to determine use and demand in the region’s existing transportation corridors, trails, parks and provides a more comprehensive look at the city’s transportation model. NW Corner of Orange Ave. & Central Blvd. NE Corner of Orange Ave. & Central Blvd. See the full report from the City of Orlando, here.